The first hour of the trip consists of walking, crawling and squeezing through the historic "Mammoth Cave" area. 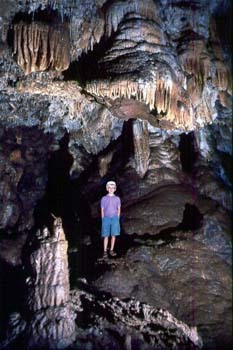 Then groups pass through the "Middle Earth" area which was discovered in 1980. Here there is mostly walking through nearly knee deep, sticky cave clay (high top shoes are a must) and the scenery is incredibly beautiful. The remainder of the trip consists of exploring the horizontal fissures in the "Cave of the Quills" area and a quick, 70-foot rafting trip across "Tom's Lake." The trip concludes with passages filled with "goo," more beautiful crystalline rooms, and then ascending ladders to sunshine and showers. Get your adrenalin pumping on our thrilling and challenging underground adventures. The Sardine Run occurs between May and July along the East coast of South Africa when millions of sardines move up northwards. 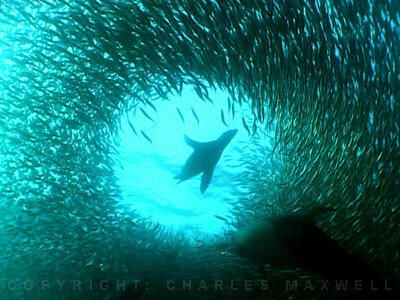 The sheer numbers create a feeding frenzy along the coastline in what is one of the largest marine events in the world. This has been dubbed "the greatest shoal on earth" by the Kwazulu-Natal tourist board. The sardines spawn in the cool waters of the Agulhas Bank through spring and early summer. Most of the fish stay in the cooler waters of the Atlantic Ocean and end up along the west coast of Africa. It is thought that the run containing millions of individual sardines occurs when a current of cold water heads north from the Agulhas Bank up to Mozambique where it then leaves the coast line and goes further East out into the Indian Ocean.